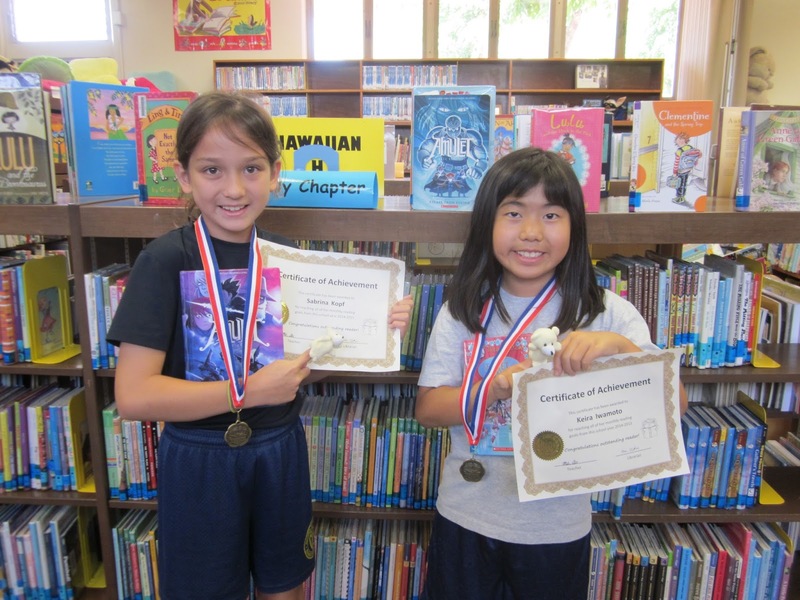 Academy 3rd Graders Sabrina Kopf and Keira Iwamoto are just two of the 91 students in JK-6th grade that participated in the monthly reading challenge this school year. They earned Pizza Hut Book It coupons and a Gold Reading Medal from the Lower School Library for reaching their monthly goals every month. Congratulations to Mrs. Wanda Pila's class, who had 100% class participation every month! They earned an ice cream party. Students are excited for the next reading challenge which is the Summer Reading Scavenger Hunt.